The DeZURIK P62/Fisher™ FIELDVUE™ DVC6200 Digital Valve Controller allows your operation to run closer to set point, improving product quality with more accurate control. 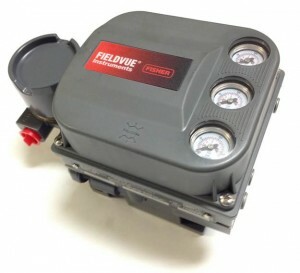 Using FIELDVUE Performance Diagnostics, valve operation is monitored online to evaluate performance and reliability. Digital communication provides easy access to the condition of the valve. The DVC6200 is a HART communicating device, so information can be accessed anywhere along the loop. This flexibility can reduce exposure to hazardous environments and make it easier to evaluate valves in hard to reach locations.